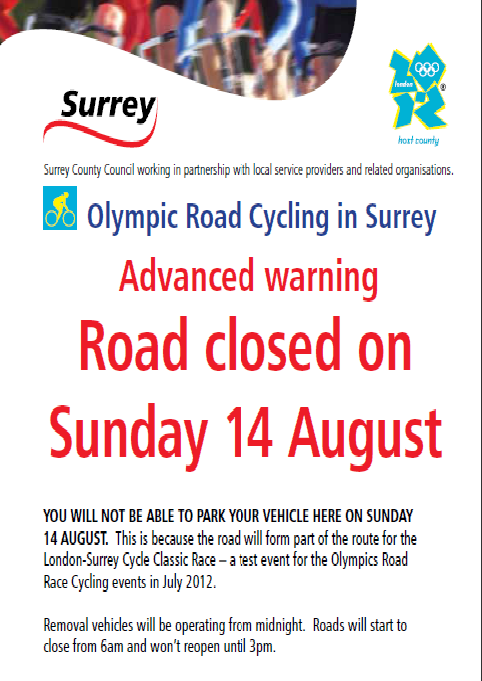 The County Council will be actively putting flyers on all cars parked along the cycle route on 31 July and 7 August as advanced warning that the London-Surrey Cycle classic will be coming through and that vehicles parked on the route on Sunday 14 August will be towed. Public Consultation 22nd July to 2nd September 2011. Surrey Police is working with Mole Valley District Council to produce a planning guide on Designing out Crime. Designing out Crime will be a practical guide for developers, householders and anyone else with an interest in new development. The aim is to help people understand how to design new development in ways that will reduce opportunities for crime and anti-social behaviour. As a result, new developments should feel safe, helping to reduce the fear of crime. The guidelines will cover issues such as designing security measures in a way that is sympathetic to the surroundings, laying out development so that it doesn’t create hiding places or escape routes for criminals, and fostering a sense of pride and ownership within new streets and public spaces, so that residents feel secure. Members of the public and other interested parties are invited to read and comment on Designing out Crime. This is just a reminder that the final drop-in session for the Olympic Cycle race test event on Sunday 14 August is happening this Friday – 29th July at Park House in Leatherhead. The session runs from 3pm to 8pm and is an opportunity for anyone to pop in and ask questions about road closures, crowd management, footpaths, access or whatever is of interest/concern to residents and/or businesses. Representatives from the District Council (me! ), the County Council, Transport for London and LOCOG should be there. These pages will be updated and added to as we move forward towards the main events next year. 4. Matters Arising from the Minutes which are not on the agenda below. 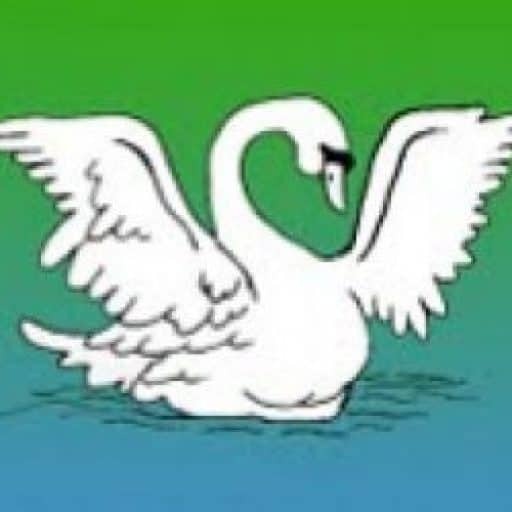 Surrey County Council will shortly be consulting on bus service changes in Epsom & Ewell, Mole Valley, Waverley and some services in Guildford. This will be phase 3 of the County Councils 3-year Bus Review Programme, which started in 2010. We will run a three-month public consultation from 1 November 2011 to 31 January 2012 for your comments on the proposals that we put forward. Comments from the actual bus users form an important part of the process and will assist us in designing the revised network. We would therefore like to hear your comments and views. Feedback from the consultation process and the costs of the revised services will then be included in a proposal that will be submitted to Surrey County Council’s cabinet, who will make the final decision. Changes to services will take effect in September 2012. From 1st November 2011 details about the proposals to bus services, how to feed your comments in to the review and further information about the review process will be available at www.surreycc.gov.uk/busreview. This website will also have details on the consultation sessions that will be held locally to discuss the proposals and listen to your individual views and suggestions. This is to let you know that Mole Valley District Council has been allocated 460 tickets for residents to watch the London-Surrey Cycle Classic from the coveted zig-zag area on Box Hill. We will be allocating a small number to Headley Court and the rest will be available for residents to apply for through a competition. The competition goes live tomorrow at approximately 12 noon (possibly slightly earlier). It will be online at www.mole-valley.gov.uk and hard copy forms will be available at the Leatherhead HelpShop and Pippbrook reception. Terms and Conditions apply. The closing date is 12 noon on 27 July, after which time winners will be picked from all correct entries, where Terms and Conditions have been agreed to and contact details supplied. Please encourage your residents to apply, as long as they are willing to commit to coming and recognise that it is a long walk from the station or a car park to the zig-zag area! 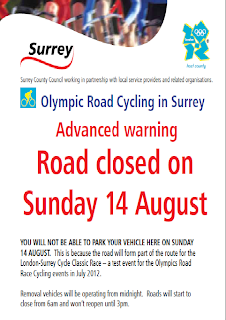 We have received this alert from Surrey County Council regarding Highways work connected to the Olympic Test Event on 14 August 2011 and the Olympic Cycle Race on 28 and 29 July 2012. Please note items 4 and 5 which fall under Mole Valley. Surrey County Council is hosting Olympic Cycle Events in 2012 with one of these events being the Men’s/Women s Cycle Road Race (28/29 July 2012). Ahead of this event there is a Test Event for the Cycle Road Race (known as the London-Surrey Cycle Classic), which is to be held on 14 August 2011. To allow cyclists to safely negotiate the Road Race course the race organisers (LOCOG – London Organising Committee for the Olympic Games) require the removal of various elements of highway infrastructure (islands etc). These are to be removed and replaced with a temporary feature (such as water filled barriers or white lining) for a short 1-2 week period which can removed immediately before the Test Event. Following the Test Event and before the main 2012 Road Race a semi-permanent replacement feature will be installed (such as rubberised kerbing or white lining). This will again be removed before the 2012 event, following which a permanent replacement feature will be installed. These works have been discussed and agreed with Surrey Police and the County’s Safety Audit Team. Similar works are also to be undertaken in the areas of London through which the race passes. The funding for highway works associated with the Olympics is separate from Surrey County Council Highways budgets and has no impact on the availability of funding for highway schemes/initiatives across the county or any individual local committee area. Officers have been working with LOCOG to minimise the extent of the works, which have now been identified and are being passed to the county’s contractor (May Gurney and Skansa) to progress. The works listed below are those identified for the Test Event, further works may be identified for the 2012 Road Race event following assessment of the Test Event. The purpose of writing is to inform you of the locations, reasons and timescales for these works. The works listed below are to be undertaken in July 2011 with advance electrical works commencing in late June 2011. All of the works are planned to be completed by the 31 July (2 weeks before the Test Event). Works will be carried out off peak during the working day to minimise traffic disruption and inconvenience to residents. Vehicular and pedestrian access to residential and business premises will be maintained at all times and local residents will be informed of the works as for all of the county’s highway works. 1. Oatlands Drive, Weybridge – Remove/replace all small existing build outs on existing cycle lane (the central refuge islands can remain). With a fast moving peloton of riders there is not enough road space for competitors to negotiate the street furniture and therefore the build outs need to be removed. 2. Oatlands Drive junction with Queens Road, Weybridge – Remove/replace section of central splitter island in Queens Road. To allow the competitors to enter Hanger Hill without having to negotiate a sharp turn the central island will have a section removed. This will allow riders to turn from Oatlands Drive into Queens Road and line up with Hanger Hill safely. 3. Parvis Road junction with Brooklands Road – Remove lane splitter island on A245 Parvis Road and replace with road markings. The riders will be travelling at high speed into the junction, due to the camber of the A245 and the location of raised kerbs on the south side of the junction, the riders will take the racing line through the junction and removal of the splitter island is needed. 4. A24 junction with A25 Deepdene Roundabout – Remove/replace part of the splitter island on south west side at junction. This is required to assist with the Traffic Management for the event and allow vehicles to manoeuvre around the roundabout and minimise a full road closure at this junction. 5. Leret Way, Leatherhead – Remove/replace central pedestrian refuge island. The riders will be travelling at high speed by this stage of the race. The riders would not have time to safely split around the island and then be in the correct position to make the turn into Bull Hill. If you have any queries or would like any additional information please email london2012@surreycc.gov.uk with the subject heading Highway Works Enquiry.